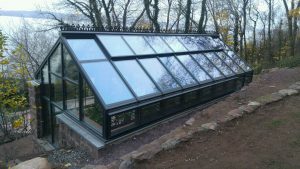 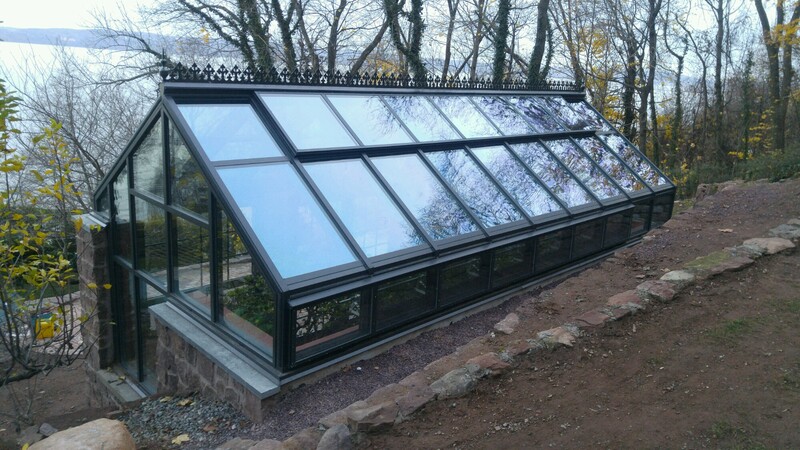 Residential greenhouse, custom designed to suit site requirements and owners preferences. 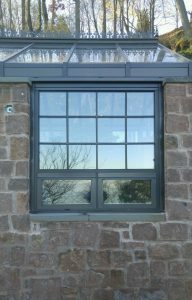 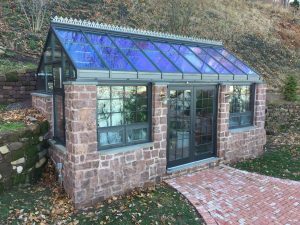 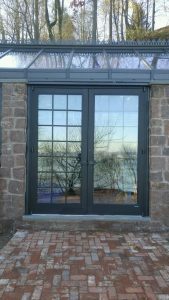 This solarium features custom windows and french door set with simulated divided lite grid work, roof and side ventilation, solar control roof glass, ridge cresting and finials. 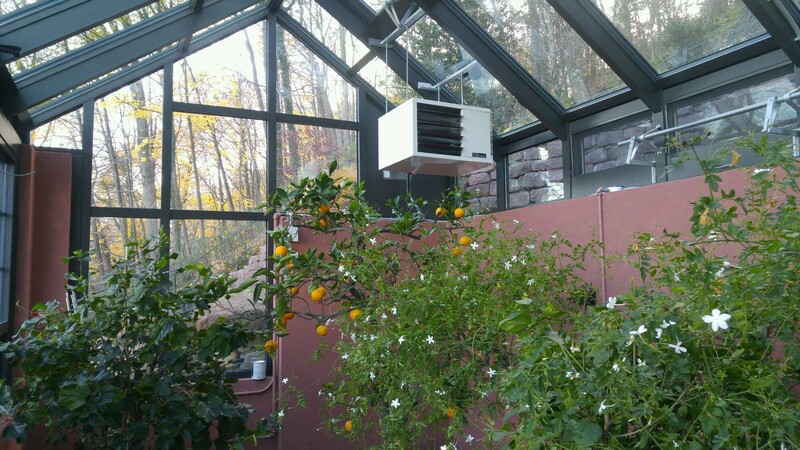 Used for horticultural purposes.